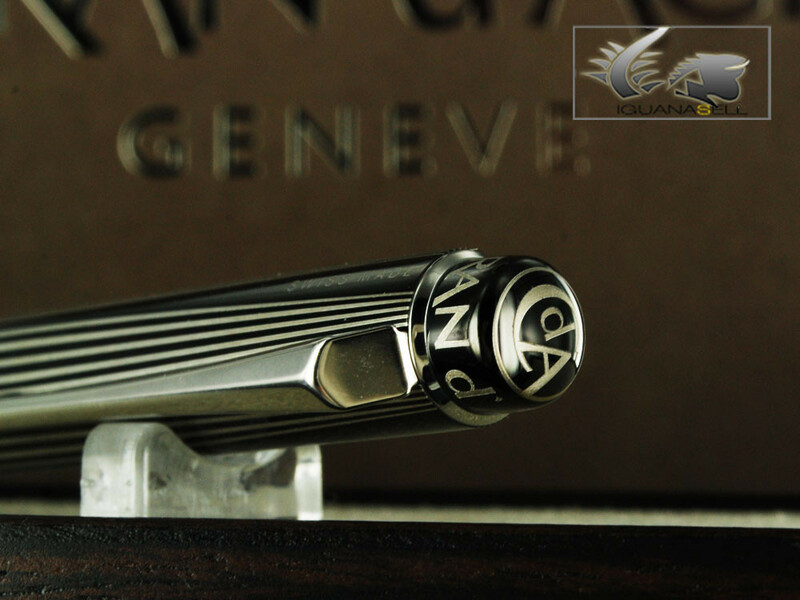 A traditional Swiss company with many years of experience in producing exquisite writing pieces, Caran d’Ache presents the RNX 316 Black Fountain Pen, to contribute to the originality and to the modern, stylish design of the new products of this great pen brand. 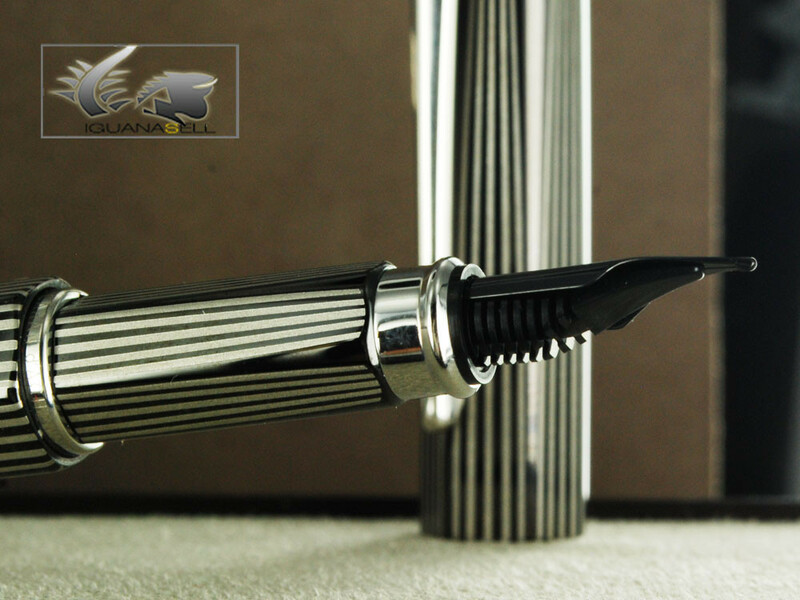 The Caran d’Ache RNX 316 Black Fountain Pen is designed with silvery-white stripes over a black lacquer body. The symmetry and perfection in these lines and is meant to reflect the accuracy of modern design. in their production, created of this pen, a real gem for lovers of the writing world. The pen works with ink cartidges or a Caran d’Ache pen converter. Dark colours used in the making of this fountain pen are responsible for a touch of elegance and class, both attached to the original structure that the pen offers. This fountain pen is a very interesting piece due to its unusual black nib. Made of steel, the nib has been plated with ruthenium and polished to give it this shiny black appearance. At last we can see the brand name delicately engraved on some parts of the fountain pen. In this case it is found at the end of the cap, as many Caran d’Ache pens, and also on the black, ruthenium plated nib. On the cap we can find the words “Swiss Made” imprinted in white. 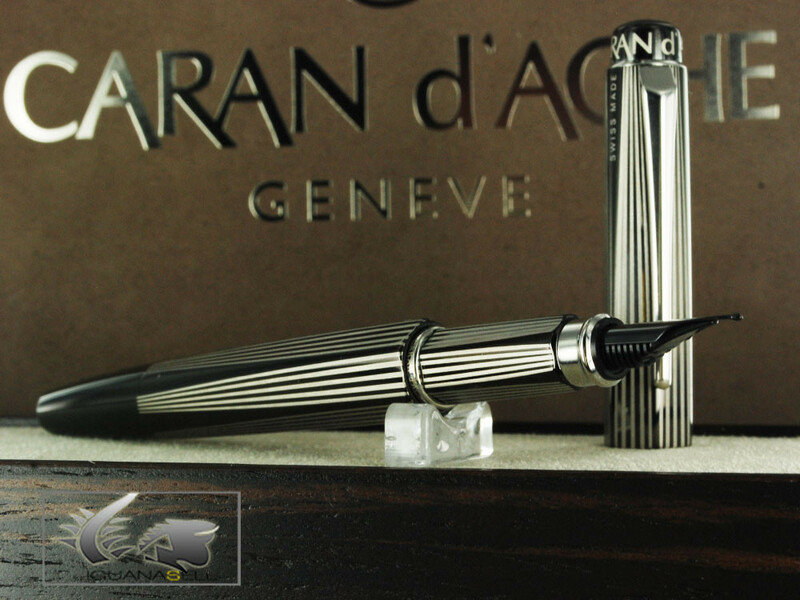 This pen combines creativity and the traditional style that distinguishes Caran d’Ache as a highly reliable pen maker. If you are interested in more Caran d’Ache pens, please feel free to visit our website or contact us! Platinum Fountain Pen – Celluloid Tortoise FinishVisconti Van Gogh Starry Night Fountain Pen: A Piece of Art!